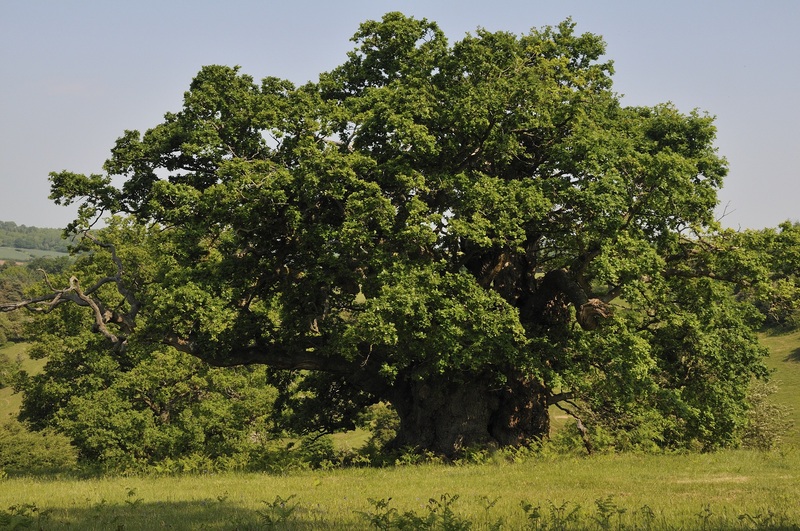 This website presents a summary of a research project undertaken by Aljos Farjon (RBG Kew) that has investigated the distribution, history and ecology of ancient and veteran native oaks in England. England has more ancient oaks than all other European countries combined. If we count for example all oaks with a girth (circumference of trunk) >9.00 m there are 115 in England and only 96 in the rest of Europe. In England, there are more than 25 sites with large numbers of ancient and veteran oaks, while Germany, Denmark, Romania and Sweden have one or a few and no such sites exist in the rest of Europe. The two species involved, pedunculate oak (Quercus robur) and sessile oak (Q. petraea) are among the commonest native trees of Europe and occur in all countries. The map shows the distribution of more than 3,300 native oaks with girths >=6.00 m in England. What are the causes of this huge difference between England and the rest of Europe? This research tries to provide answers to that question. Medieval deer parks are the most closely historical links with ancient oaks and England may have had more than 3,000 parks between 1100 and 1500 CE. Only Denmark adopted this obsession of the English nobility. Then there were the medieval Royal Forests, in Europe all but transformed into modern tree plantations, but in England that modernisation happened much later so not all were destroyed. Private landownership, the near lack of destructive wars and an early romantic view of landscapes are other causes. 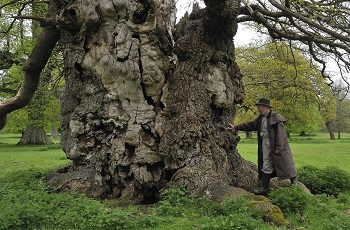 A book ‘Ancient Oaks in the English Landscape’ will be coming out soon, written by Aljos Farjon and published by Kew Publishing.